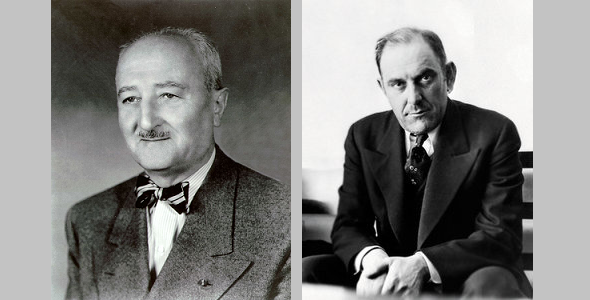 Victor Lustig’s surname means “funny” in German, but it was real. Apart from this, Lustig, who was born in Austria-Hungary, was a specialist for fakes. His masterpiece was the alleged selling of the Eiffel Tower to a metal dealer in 1925. 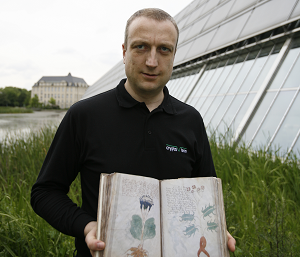 Years before, he had fooled several customers with a fake money-copying machine. This device needed about eight hours to copy a $100 bill. Of course, it only worked when Lustig demonstrated it. 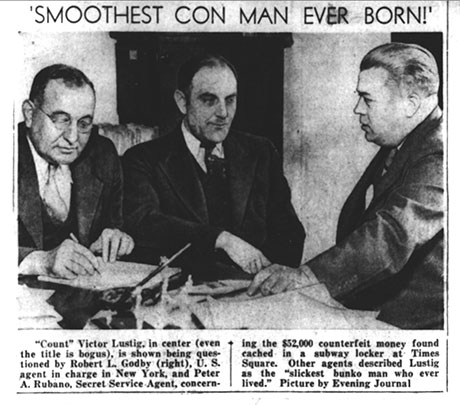 In 1935, Lustig was arrested by US federal agents. He died twelve years later while serving a prison sentence at Alcatraz. 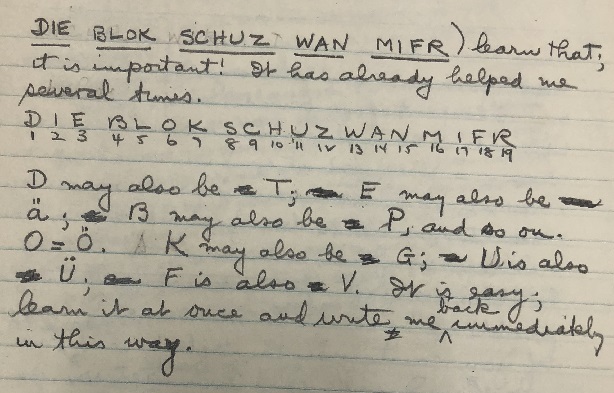 In the book The Man Who Broke Purple by Ronald Clark, I read that codebreaking genius William Friedman once deciphered an encrypted message found in Lustig’s possession. However, Clark doesn’t mention any details about this story (as mentioned in this blog post from 2015). Neger: This means “negroe”. It is also an Austrian expression for “broke”. Marie: This is an Austrian slang word for “money”. Even many non-Austrians know this expression from the song “Banküberfall” by the Austrian band Erste Allgemeine Verunsicherung (“Jetzt oder nie, her mit der Marie!”). Stir: Another Austrian word for “broke”. Boldi: “Poldi” is a short form of the name Leopold. This might refer to a transposition cipher. Probably, the description is not complete. If a reader can say more about it, I would be interested to learn. 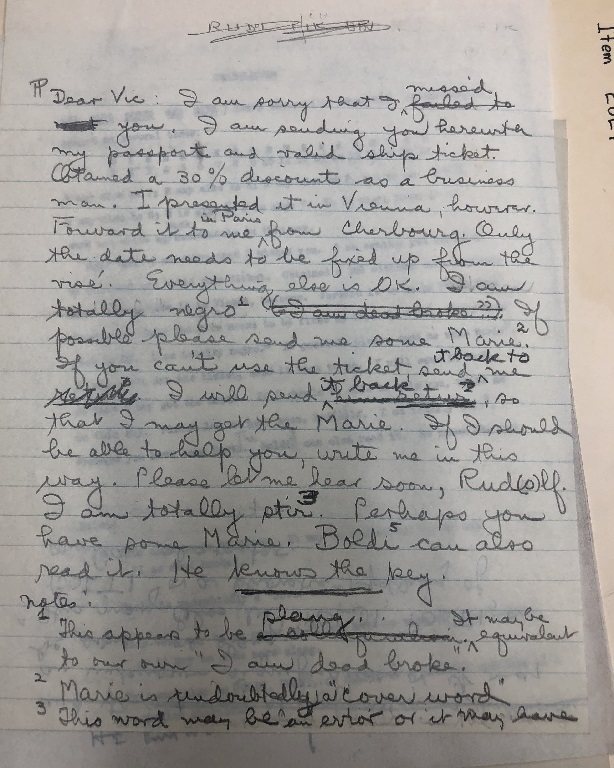 I’m glad that I have finally found some information about the encounter of the world’s best codebreaker and the world’s most famous con man. 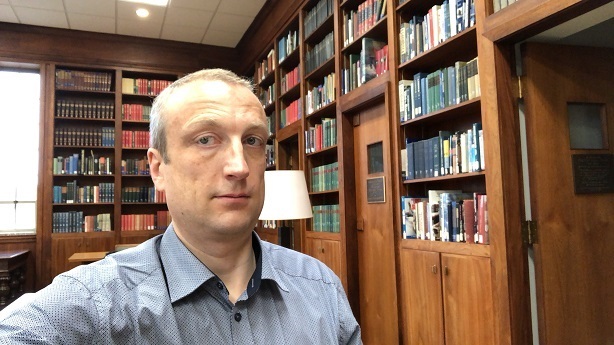 It’s noot really about a broken code, but it’s a nice story anyway. To me this seems to be a substitution key easy to memorize (numbers for letters). 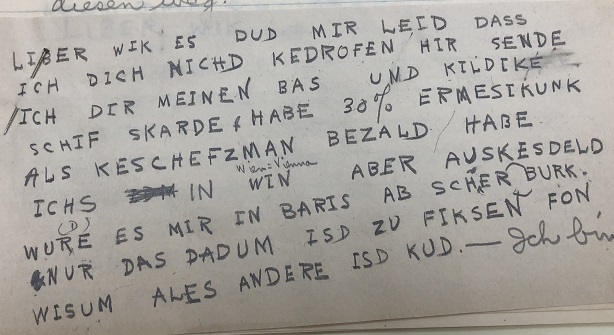 Since hard/soft consonant pairs are replaced by only one number, decryption is slightly more difficult. Moreover, the umlaut/vocal pairing indicates a substitution cipher. 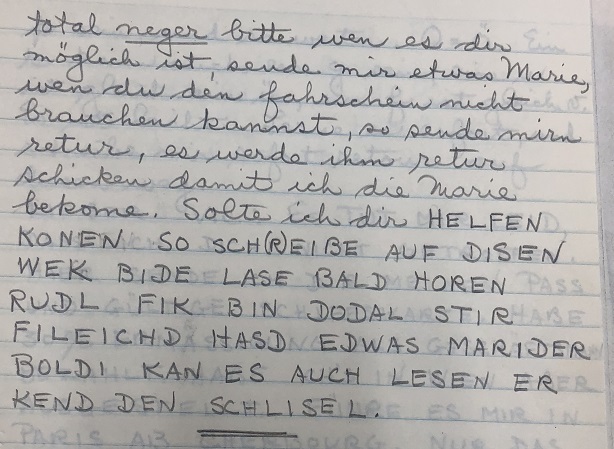 Whereas the umlauts refer to German plaintext, the handwriting looks American (Lustig’s accomplice Watts or Friedman’s transcription?). Interesting find, Klaus! 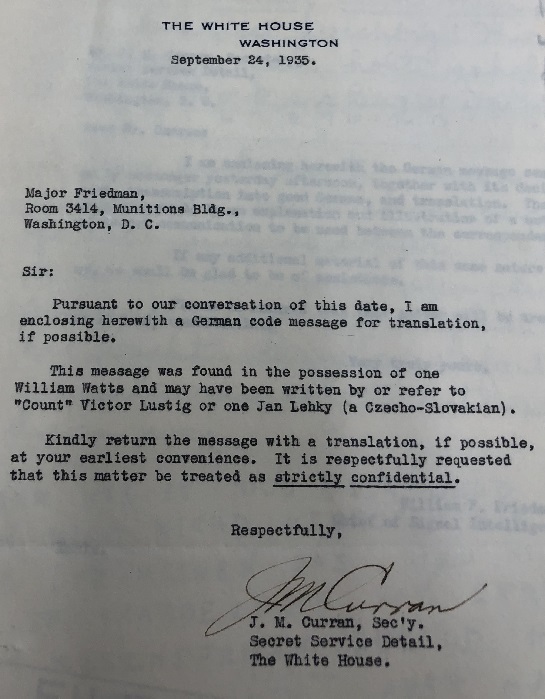 So Friedman´s task was not only breaking sophisticated ciphers, but also translating misspelled letters in foreign languages. 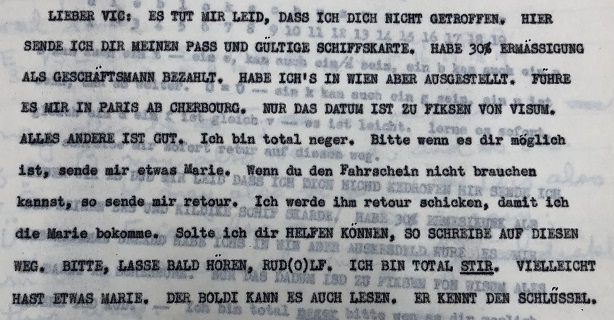 Probably, the last sheet contains his translation of another part of the Austrian “businessman´s” letter concerning the (cryptographic) key (“Schlisel”) that “Boldi” knew. Thank you for your detective work and the short story, really enjoyed it.